Traminette grapes are hybrid grapes that are crossed with Joannes Seyve 23.416 and Gewurztraminer. Still, what does that mean? 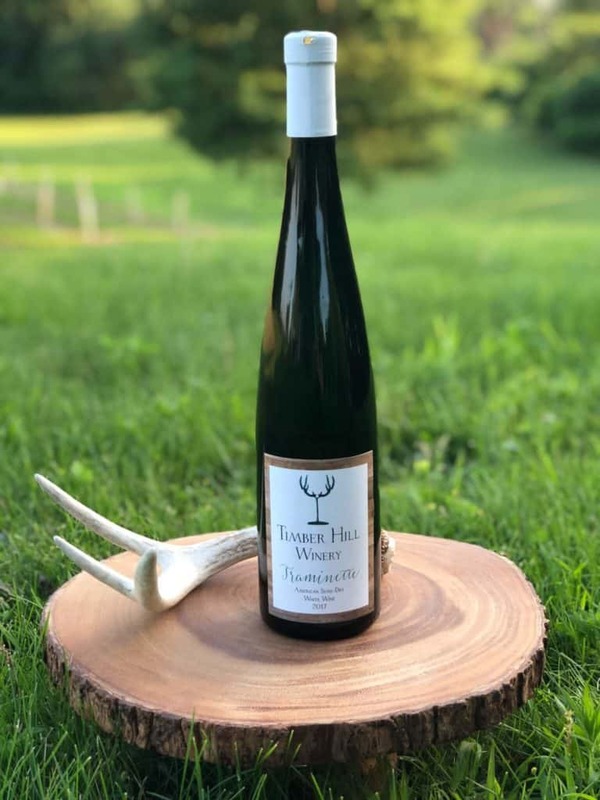 Timber Hill Winery is known for producing wines that grow in Wisconsin but Gewurztraminer is not cold hardy enough to survive Wisconsin’s cold winters. In the 1960’s Cornell University crossed the Joannes Seyve 23.416 and Gewurztraminer to create Traminette. The hybrid variety is able to survive the Wisconsin winters and shares many of the same aromas and flavors of Gewurztraminer. An off-dry white wine with an elegant floral aroma and a spicy finish, it pairs well with spicy foods or Asian cuisine. How did you come up with that wine? In April of 2017, Timber Hill Winery hired on our first employee, Brenda. Beginning with the interview Brenda had expressed that she had a great interest in wine. She is actually going to school for wine making with hopes that, some day, she would open a winery similar to Timber Hill Winery. 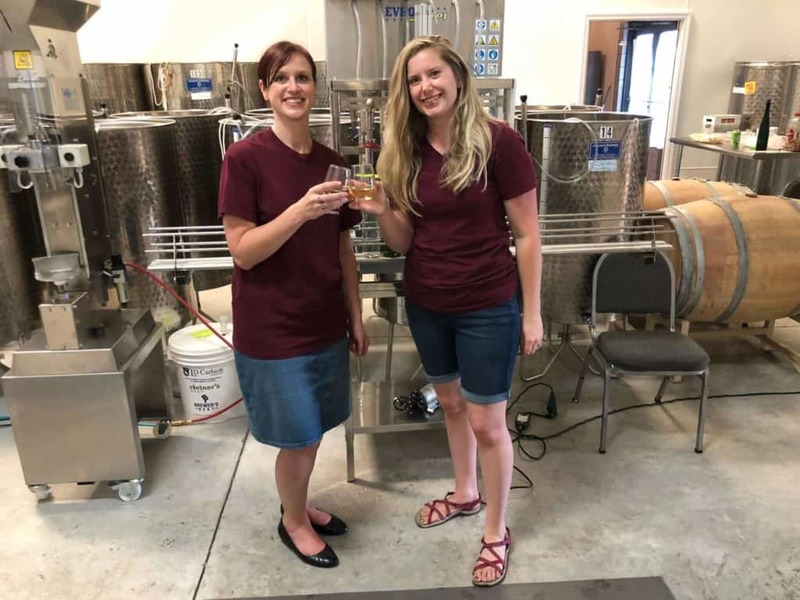 After a couple of months working at the winery the owner/winemaker, Amanda, approached Brenda to ask if she would like to make her own wine at the winery. Absolutely! I can’t thank Timber Hill Winery and Amanda enough for the opportunity of making my first commercial wine. It has been a dream for a long time and with the guidance, support, and generosity of Timber Hill Winery that dream has come true. It has been an amazing journey from start to finish. I can’t be more proud to be a part of the Timber Hill Winery team. Thank you, Amanda, for welcoming me into your winery and supporting me through this dream of mine.